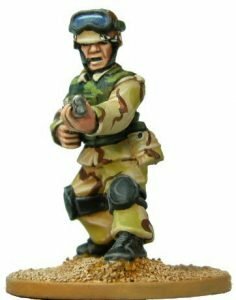 The Assault Group’s range of 28mm metal miniatures, and resin cast vehicles, are not toys. They have sharp points, and small pieces, which may prove to be a choking hazard. They must not be given to children. TAG miniatures are made from a white-metal alloy that contains Lead, which may be harmful if ingested. Please take care to ensure that white-metal does not get into your mouth, avoid eating, drinking and smoking whist handling unpainted miniatures, and always wash your hands after. For more information on working with white metal, this document is very informative, Lead & You, its primarily aimed at British Industry, but does contain all the relevant health information.